Audio Damage is continuing to do its bit to recreate classic vintage effects that fall under the radar of the larger plug-in developers. The Phase Two, an incredibly accurate recreation of the Mutron Bi-Phase, may be its most ambitious yet. The Bi-Phase is the sound of the seventies, known for its stereo phasing capability, and has been used by everyone from Frank Zappa to Smashing Pumpkins. Phase Two features two separately controllable 6-stage phasers that can be routed in series or parallel, for everything from subtle phasing and flanging to the sound of a jet aircraft leaving the runway. The cel-shaded interface is accurate to the original, including the footswitch and, as usual from Audio Damage, everything is MIDI controllable and learnable. 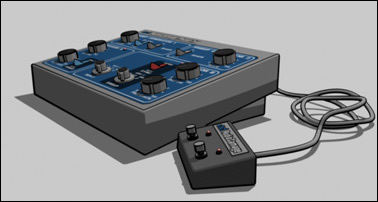 An extra CC, which takes the place of the “Opti-Pedal” in the original unit can be used to manually sweep phaser frequencies with a MIDI controller, such as a mod wheel or aftertouch.